When support systems no longer provide the support needed or wanted, at some point in the great sadness and pain from loss we become a resident in isolation and not necessarily due to our own conscious choice. Self-care becomes a fundamental pillar. A daily ritual helps to improve the healing process in the loss endured. Tending to My Wounds, Coping with Grief One Square at a Time is grief expressed through art. Accepting her loss and befriending grief for a committed number of days, one square, one day at a time. A selection from grief expressed through the written word intermingled with grief expressed through drawing and painting this book imparts how loss and the journey of grief can turn loss in to learning and grief into growth. The reader is drawn into Debra's personal grief story through journal entries and painted canvases. As Kathleen Sullivan, MAAT, AR-BC writes in the Foreword, "Debra offers hope. She has developed a way to make the time of grieving more bearable, noted, recognized and honored. This compilation of original journal entries and richly symbolic painting is an extraordinary example of using art to heal." Short in length though packs a mighty punch, the entries and painted canvases in Tending To My Wounds, Coping with Grief One Square at a Time is presented for awareness, guidance and enlightenment or possibly motivation to individuals who might be looking for or wanting additional ways to contend with their loss. This colorful book captivates the reader’s attention and gives another outlet to explore when one grieves, mourns, and bereaves. Debra’s canvases continue to reflect a mélange of varying subjects and colors all based on her state of mind, feeling or experiences of her day. 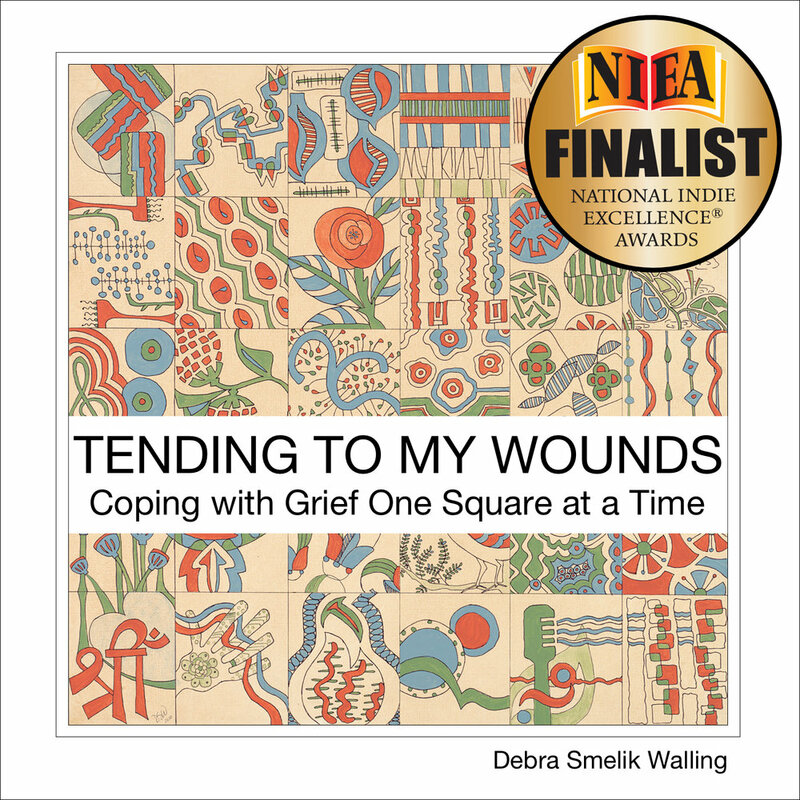 For individual or group support, Tending to My Wounds, Coping with Grief One Square at a Time is undoubtedly a great addition to the realm of grief support.